02/05/16 - Galaxian3 : Attack Of The Zolgear...the flyer! 19/03/16 - Road Trip : "Je suis CIRCUS Charlie in Paris!" 02/09/15 - PIXELS the movie : The 'Standee' Road Trip! 13/08/15 - Road Trip : BUGGY BOY *triple screen* by Tatsumi !!! 27/09/14 - UK Road Trip #19 : FIREFOX COCKPIT!!! 06/10/13 - Road Trip : "JR & JR... Nintendos at the St Bruno!" 18/07/13 - New Book Available! 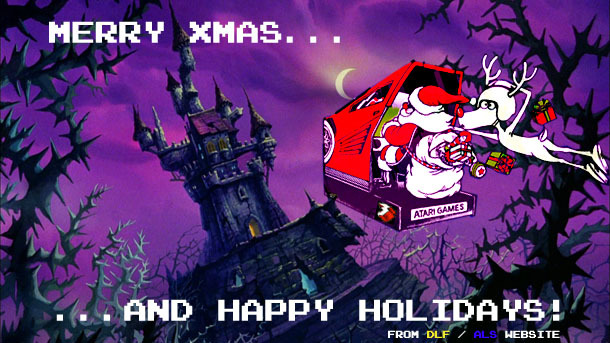 Yes, Dragon's Lair & Space Ace related!!! Yeah! 25/05/13 - ROAD TRIP : Dayto Blasto! 06/04/13 - ROAD TRIP : Irem Kung Fu Master... from the love boat! 20/03/13 - ROAD TRIP : XBOX Demo Pod... into the wild! "This time it's not for an arcade cabinet! Nope, just for a demo pod I wanted to own! Not easy for me, Apple fan, to highlight a Micro$oft product, but... yeah... that one looks pretty good, huh?! 10/02/13 - ROAD TRIP : SEGA MONACO GP by Bartie... and his daughter! 15/04/12 - Dragon's Lair for Kinect! 07/04/12 - EXPO : the King of the Jungle is Ully! 12/02/12 - HISTORICAL BULK BUY / ROAD TRIP !!! I thought I would never live again a story as extraordinary as the Galaxian Theater one... I was wrong! Thank to Oliver 'Alpha1' for letting us being a part of the most amazing Arcade Life Story ever done, already a part of the Arcade history! 07/01/12 - Kimberly 'the statue' now available for pre-order! 23/12/11 - Season's Greeting ... Holidays ... Hell Yeah'! 29/11/11 - Galaxian³ : The press book! 15/10/11 - STARBLADE : Operation Blue Planet... new footage! 09/06/11 - ARTWORK : ROTJ yoke overlay by Etienne...now available! 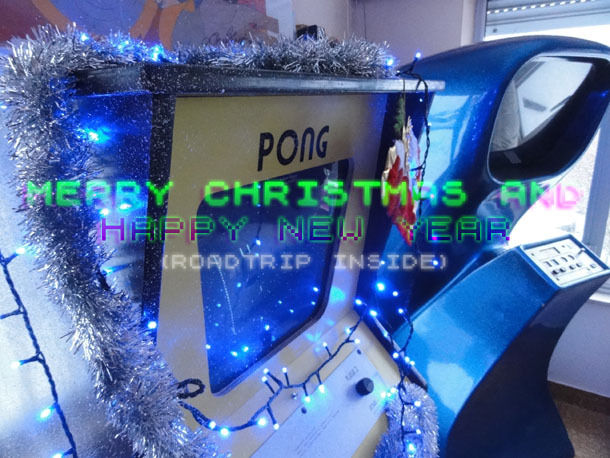 24/12/10 - Season's Greeting ... and ...XMAS Road Trip / XMAS Arcade tree! 14/10/10 - ROAD TRIP : Berzerk...the Last...but the First ! This website (version 5) was created by Bruno "Darth Nuno" Biordi, 2001-20012. All trademarks and copyrighted materials are property of their respective owners.